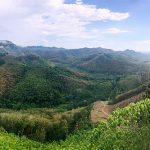 There are many ways to do the hugely popular 900km trip from Bangkok to Phuket and vice versa, each of which has its own advantages and disadvantages. In this post I will explain each of them in detail and give you hints and tips to keep in mind when you decide to go for one particular travel type. Many backpackers choose this option and a lot of them book their ticket in Khao San or at the Hua Lamphong Railway Station in Bangkok. However, this is not your cheapest option for a bus ride to Phuket with prices at around 1,000 Baht. If you decide to go to the bus terminal by yourself instead you will save the money that ticket agents get in form of commission in places like Khao San or the railway station. Bangkok has three major bus terminals and the one that has buses to Phuket is the Southern Bus Terminal. To get there, you will have to take a taxi, by meter about 150 Baht from Khao San Road, or 250 Baht from the Sukhumvit area. There are night buses going down to Phuket until midnight. Of course you can also take a bus during the day time, but there is not really much to see on the way as you are driving straight down the highway (and not directly along the coast) and moreover you will save the cost for one night accommodation if you take the night bus. The ticket price is about 700 Baht one way for an air conditioned bus with large seats (3 seats in one row); blanket, pillow and a snack are included. The trip takes about 12 hours. You don’t really need to prebook your bus as there are always more than enough seats available (except maybe during Songkran), but if you want to reserve a particular seat, then you can book your ticket online on busonlineticket.co.th or easybook.com. Once you have arrived at the bus terminal in Phuket (usually that’s the new Bus Terminal 2 about 8km north of Phuket Town, see the photo above), you can either take one of the songthaews (shared taxis) that will bring you to the beach (Patong, Karon and Kata for 100 Baht), or Phuket Town for 50 Baht. Of course, alternatively you can also take a taxi for about double that price. 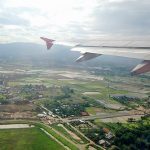 A flight from Bangkok to Phuket is obviously your fastest and most convenient travel option, however it’s also the most expensive one. For cheap flights, Air Asia will normally be the best choice, but Nok Air can be cheap, too. A one way ticket usually costs around 1,500 Baht, but especially AirAsia often has promo fares for 990 Baht or so. Slightly more expensive (about 2,000-2,500 Baht one way) but more convenient (more legroom and free food and drinks) is Bangkok Airways. Note: Many Budget Airlines like Air Asia no longer depart from Suvarnabhumi International Airport but from Don Muang International Airport north of Bangkok. The flight from Bangkok to Phuket takes just about 90 minutes. From Phuket Airport you can either take a minivan to your beach (it’s 180 Baht to Patong Beach and 200 Baht to Kata or Karon Beach), or you can take a taxi (make sure they use the meter) that will cost about 400 Baht to Phuket Town, 550 Baht to Patong and 650-700 Baht to Kata/Karon. Note that there is also an airport fee of 100 Baht for the taxis. There is no railway station in Phuket. The closest you can get to is Surat Thani, which is about 230km northeast of Phuket. This trip takes about 12 hours, and the ticket costs 107 Baht for 3rd class, 248 Baht for 2nd class and 519 Baht for 1st class. Once you have arrived in Surat Thani, you will need to take a motorbike taxi or tuk tuk to the bus terminal (50 Baht). Buses to Phuket leave at least once every hour from early till late, the price is about 200-250 Baht and the trip takes 3.5-4 hours. The cost of a rented motorbike is difficult to tell, depending on the rental period and the type of bike you rent. Anything from 150 to 400 Baht per day is possible. Of course you can also buy one, and then the price varies even more, from around 15,000-20,000 Baht for a second hand bike to 35,000-50,000 Baht for a new one (standard 120-150cc scooter). Petrol in Thailand is relatively cheap at around 38 Baht per liter. If you decide to travel from Bangkok to Phuket by motorbike, make sure that you always wear a helmet. Also, only do it if you are confident riding on the hectic roads of Thailand. As the distance with around 900km is quite long, you should split your trip into at least 2-3 parts, see below for some recommendations to stay. This is maybe the hardest option to organize your Phuket trip, but it can be a lot of fun while actually traveling. Rental prices in Bangkok are about 1,000-2,000 Baht per day for a basic car. Make sure you find a reliable rental place. That’s more easy in theory than it is in practice with far more motorbikes available for rent than cars for rent. So wherever you go, make sure to carefully read the rental contract (and that it’s written in English) and you got an insurance that covers most or all of the expenses in case of an accident – similar if you rent a motorcycle. Also check for damages and scratches before you rent the vehicle and make sure they are noted in the contract when you rent your car. Again, as the distance with around 900km is quite long, you should break your trip at least into two parts, stopping overnight somewhere along the way, see below. If you feel fit and adventurous and have about 10 days time for your travel down to Phuket, you can definitely do that by bicycle. Again, you have the choice to either rent one for about 50-100 Baht per day, buy one or bring your own from home. For the last option, obviously charges for excess baggage for your flight will apply, but you might feel more comfortable during this big trip riding on the wheels you are familiar with. You will stop at several more and less touristic places along the way but don’t worry, there are fine budget guest houses in virtually every town in Thailand that have English speaking staff. Thai people are extremely helpful, you will not get lost. Check the places below for the most popular destinations to stay along the way. Check out my travel section for guides to each of these places. The first three towns are located on the beach, the nicest one being Hua Hin and it’s just 3-4 hours from Bangkok away. If you have time, you should really make a side trip to the beautiful islands of Koh Phangan and Koh Samui, and Phang Nga is one of the best kept secrets in all of Thailand. If you have any questions, feel free to ask me in the comments. I have done the Bangkok-Phuket trip six times already and can probably answer most of your questions. Hi I intend to do this trip but in reverse – Phuket to Bangkok – in June, and being mildly suicidal I’d like to do it on a motorcycle. I’ve seen plenty of places online that rent bikes for local travel in Phuket, but not any that allow one way trips. Do you know of any that will allow me to pick up in Phuket and drop off in Bangkok? 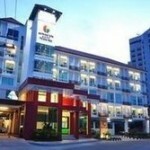 Hi, can you recommend a car hire company with pick up from Bangkok and drop off in chumphon. Also planning on riding a scooter from surat thani to phuket..any hire plan recommendations? Hey, I’m reaching BANGKOK on the 29th of July and have to be in Phuket by 2nd August. I don’t want to stay in Bangkok and instead want to spend 4 days doing bangkok to Phuket. I’ll be a single female, travelling alone.. Is it a safe route to do? And how should I travel and where all should I stop? Should be perfectly fine Tanvi, if you want to be totally on the safe side you might just want to take a bus or train during the day. 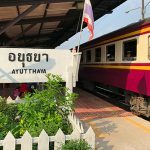 The one stop I would really recommend on the way from Bangkok to Phuket is Hua Hin. Beautiful beach, some sights and decent nightlife all without being as touristic as Phuket. Check out my travel section for more infos. And enjoy! Via surat thai or ranong? Im looking to travel from Bangkok to Phuket during a 14 day span and if possible a stop in Ko Phangan somewhere in between; Could you give me a MUST SEE outline… meaning what cities to hit and in what order. Id like to do the best, not the most, I can in my allowed time. Definitely looking for an adventure and full of lovely experiences trip.. not a Ritz Carlton and caviar type trip. thank! Well Lindsay, definitely do the island hopping tour Koh Samui, Pha Ngan and Tao, that already takes up a week. The coastline on the way down from Bangkok to Surat Thani is not touristic at all and that might just be what you are looking for too (Hua Hin has a lot of resorts and more expensive hotels). Then you have like five days left for Phuket which is just fine, make sure you go around the island by motorbike, so many beaches to discover. And then you can think if you do a day trip to Koh Phi Phi, now very crowded but very picturesque. Enjoy!